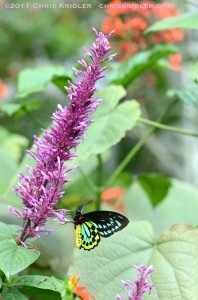 We just got back from a trip to South Florida, where I made my first visit to Butterfly World. I was interested in both the passion flower collection and, naturally, the butterflies. It exceeded my expectations. The humdrum lobby gave nothing away, but as soon as we entered the first exhibit, we were surrounded by clouds of fluttering butterflies, which weaved among the colorful flowers and around the heads of guests as if – as one visitor put it – they were dreaming. Or I was dreaming, maybe. I took a lot of photos, so I can prove it wasn’t a dream. They are kept in a series of linked, screened houses so they don’t escape. Other, similar houses hold hummingbirds and other feathered creatures. 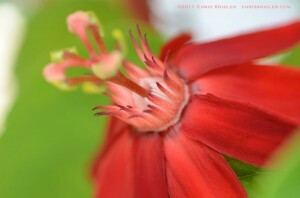 There’s also a creepy bug museum and the amazing passion flowers, though I wish more of them had been blooming. Still, their delicate complexity continues to fascinate me. I recently wrote a story about passion flowers, most of which are native to South America, and learned there are about 600 types. See the gallery.